Step into this White Christmas Street Fair and browse through handcrafted products for the perfect x'mas gift. Festive nibbles and mulled wine are guaranteed. Experience a white Christmas right here in Hong Kong! 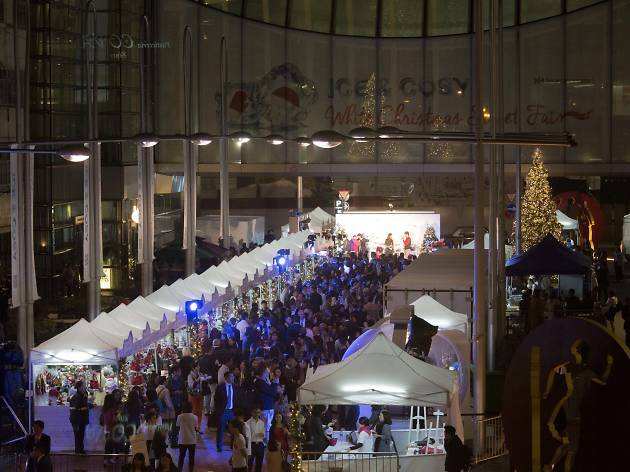 In place of its regular Sunday market, Tong Chong Street is being transformed into an enchanting fair where you can browse through a wide selection of handcrafted gifts, take part in a teddy bear Christmas parade, peruse upcycling arts and crafts workshops, and munch on nibbles and mulled wine.